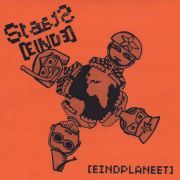 Staatseinde was already present on the Kamp Holland compilation with their track “Ruimtevaart Vooruit”. 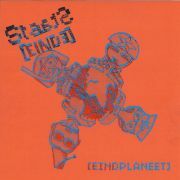 This track has launched Staatseinde as one of the most promising elektro pop acts from Holland. 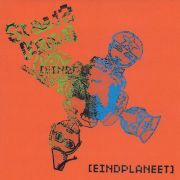 The appearance on Kamp Holland paved the way for some concerts, the appearance on the Gonzo Circus / Mind The Gap cd (Gonzo #99) and got the band airplay on the radio by Dutch broadcaster VPRO 3voor12. 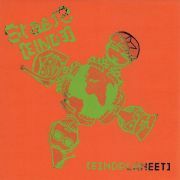 This is the official debut and features on the A-side two cabaret influenced tracks and on the B-side a smashing remix of “Ruimtevaart Vooruit” by Dutch elektro/acid veteran Rude66. Staatseinde is here to stay! The sleeves are hand printed and not a single one is the same.